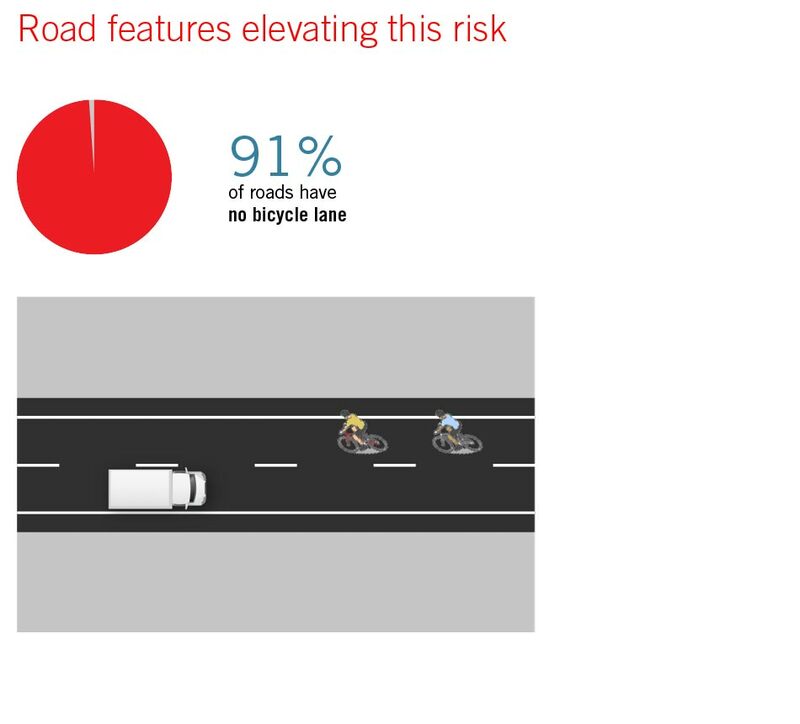 How Safe Are The World’s Roads? Where Are We Now? Do you have a footpath? Is the road divided? 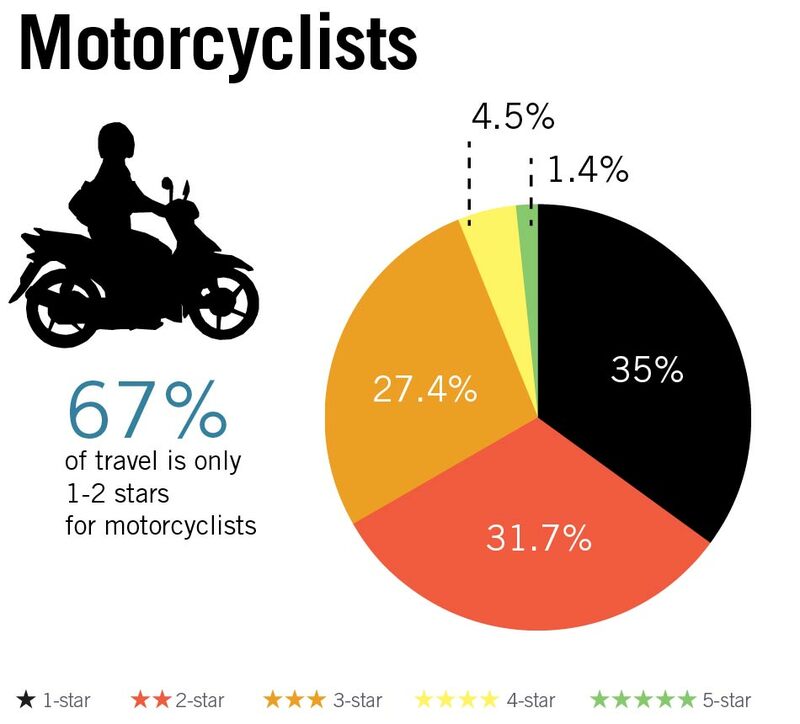 Are the roadsides safe? Are the speeds appropriate? The UN Global Road Safety Performance Targets are now providing a common standard to benchmark the safety of the world’s roads. 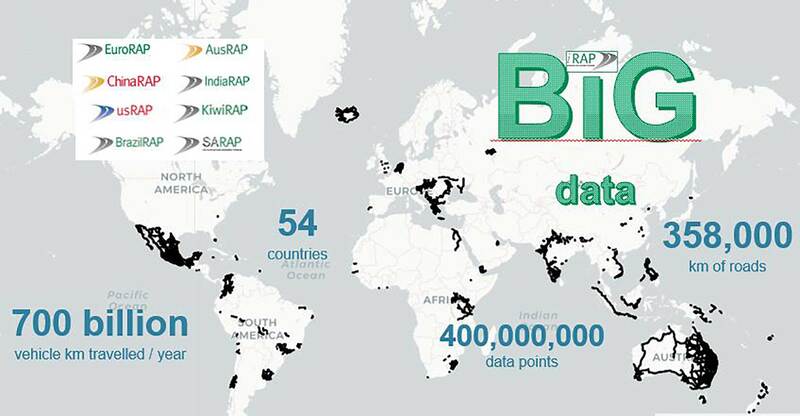 iRAP Partners around the world have now collected close to 1,000,000km of data. 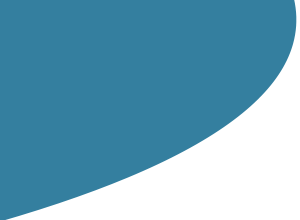 Thanks to our partners at Advantage Data we are now unlocking the power of that data. 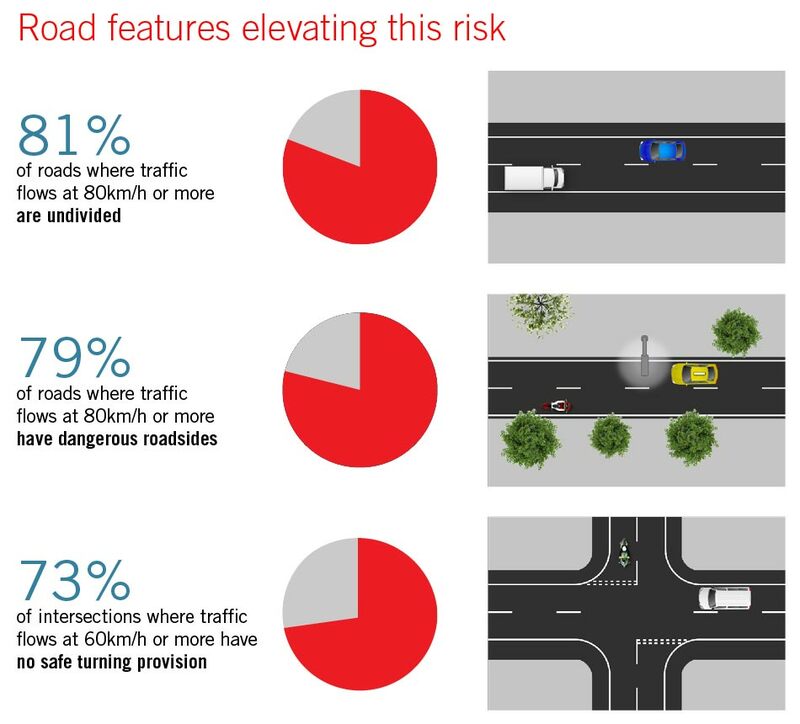 Looking at the most recent 358,000km of data and over 400 million data points helps you to explore the safety of the world’s roads for each road user. Refer to the Notes on use to understand the background and tips on using the data. 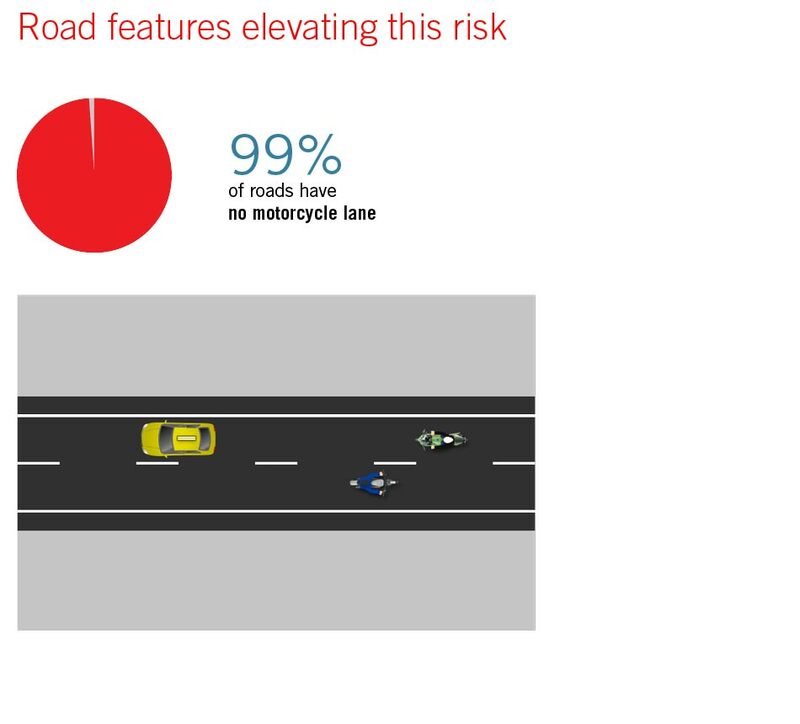 for all road users by 2030 will save lives on a scale that matters. 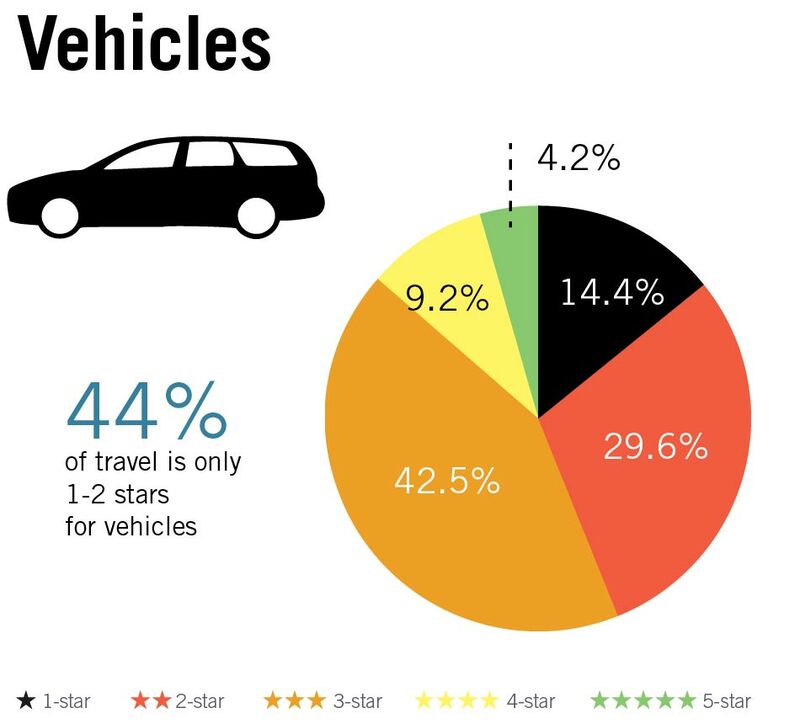 *Based on a snapshot of data taken in May 2018. Click here to explore more fully the live iRAP Big Data Tool with refined search options. Road deaths and injuries are predictable and preventable. Head-on fatalities occur on undivided roads. Run-off road fatalities occur where the roadsides are unforgiving. 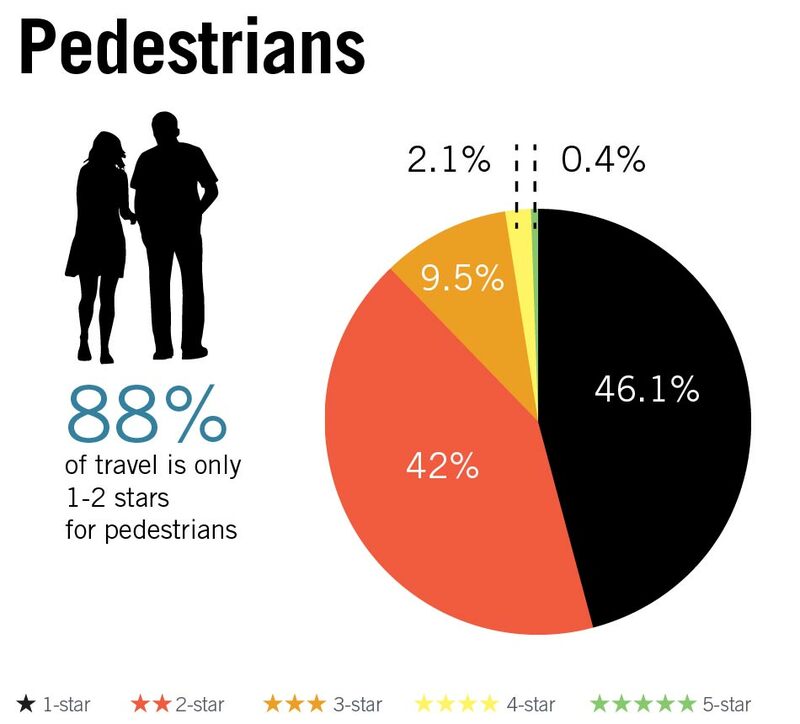 Pedestrian fatalities occur where sidewalks are missing, safe crossing facilities don’t exist or speeds are inappropriate. 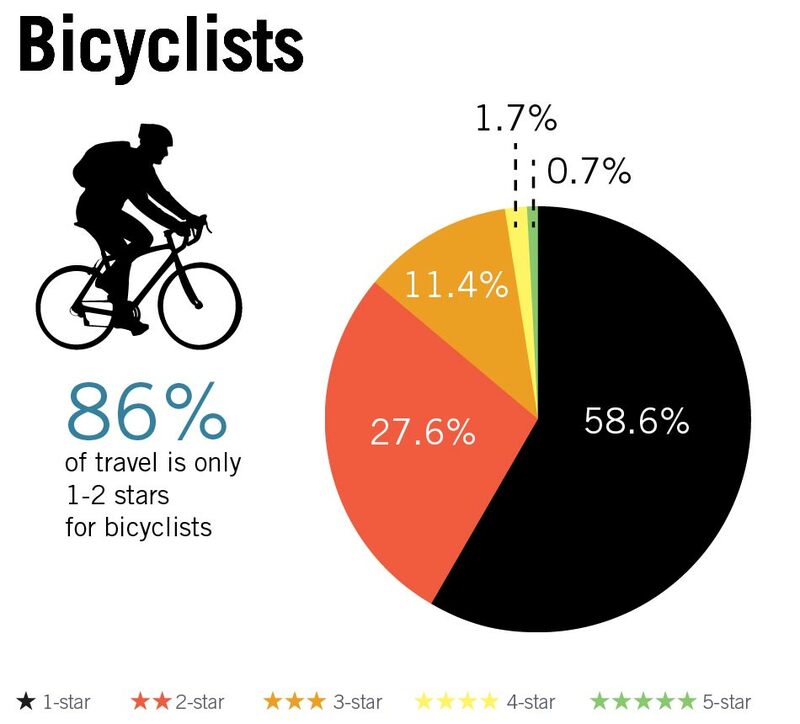 Bicycle fatalities occur where there are no bike lanes or safe crossing points. 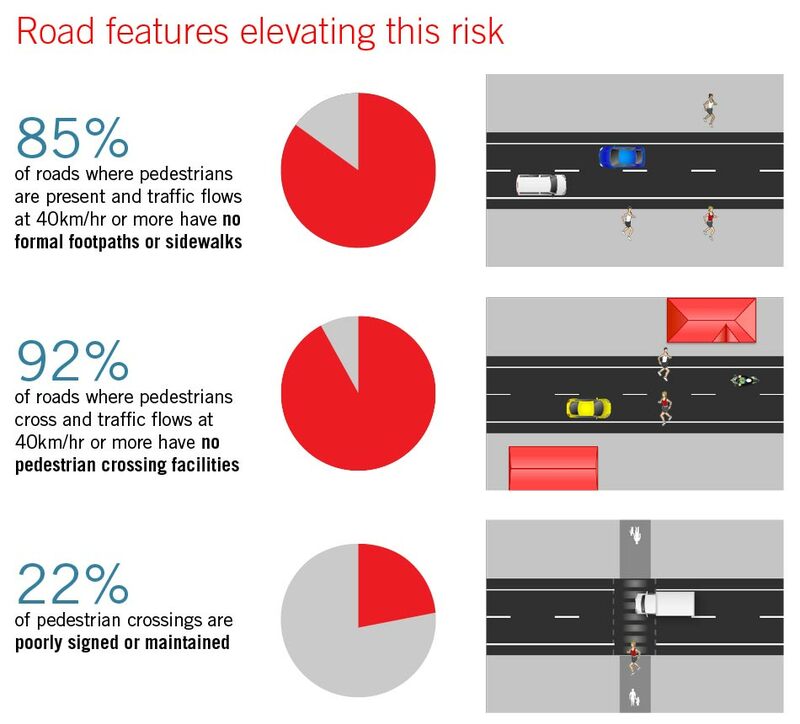 Looking at each road user and the key road features that matter for their safety can help show how the world’s roads currently perform, and highlight the basic safety features that are missing. The attributes below are routinely collected as part of Star Rating assessments along with 30-plus other attributes that matter. 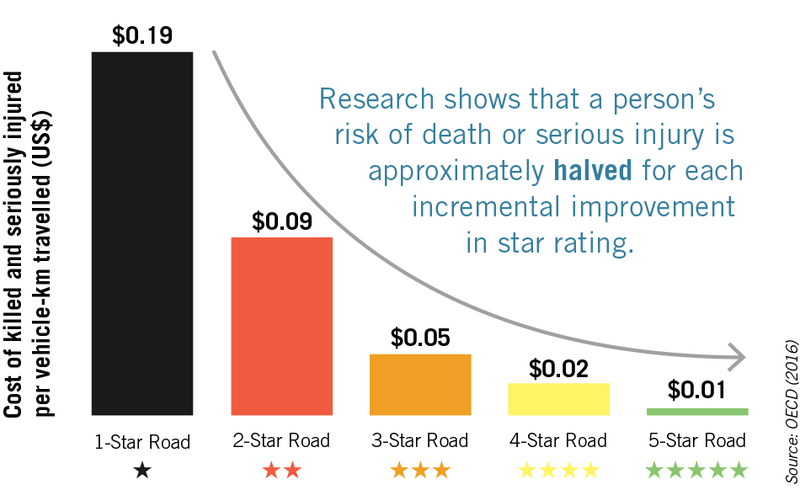 Large scale action worldwide to address these gaps will save many lives and help ensure we achieve more than 75% of travel on the equivalent of 3-star or better roads by 2030 in support of the UN targets. Country income level insights based on a 358,000km sample of roads across 54 countries. *Black line = analysed road network.